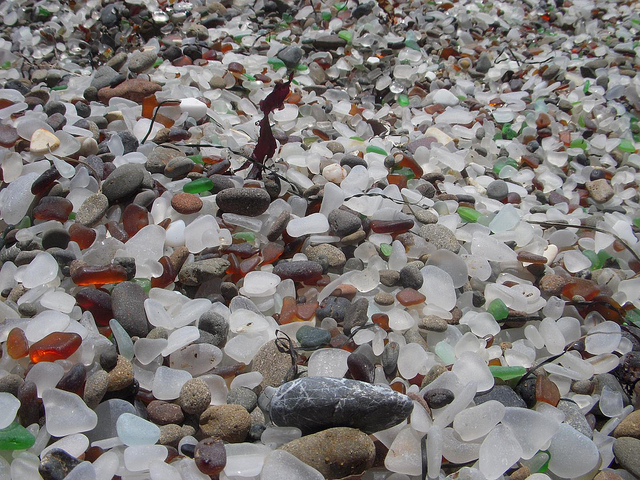 They did it with relish and in great volume: glass, household appliances and even motor vehicles went over the edge until the place acquired a new name – The Dumps. 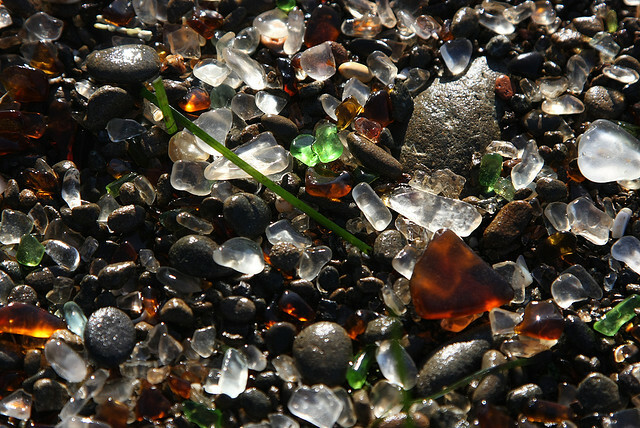 It was not until the 1960s that city leaders and the local water board forced the closure of the beach as an illegal dump. 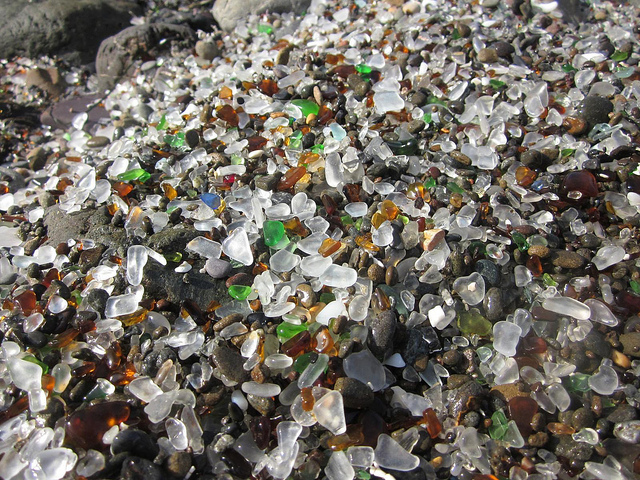 Cleanups followed to remove the largest pieces of detritus, but decades of wear had done their work on much of the glass which had been thrown over the side of the cliffs. 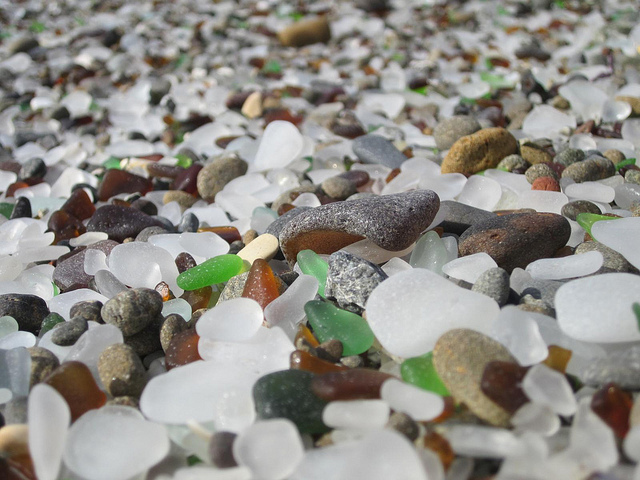 The waves and the weather had smashed, pounded and ground the glass in to smooth, small, rounded objects – million upon million of them. 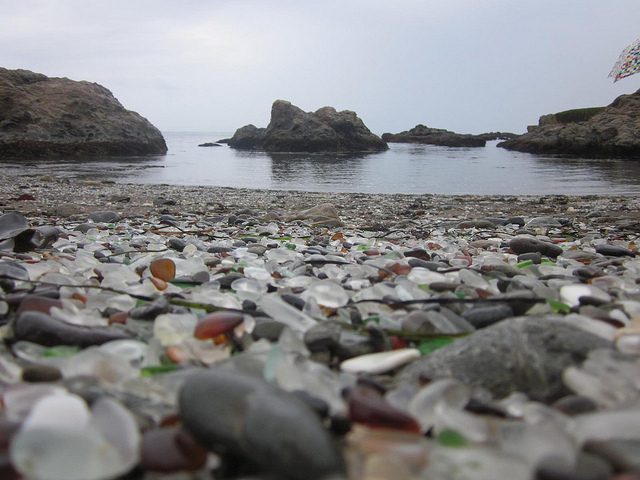 It was not long until the name Glass Beach was adopted instead of the previous, less attractive appellation. 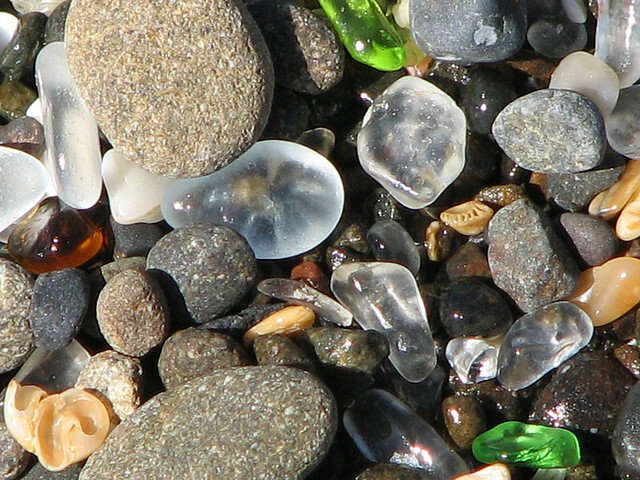 In the early years of this century the beach and the surrounding twenty acres were bought by the California State Park system with a view to incorporating it in to the surrounding MacKerricher State Park. After a final cleanup exactly that happened. 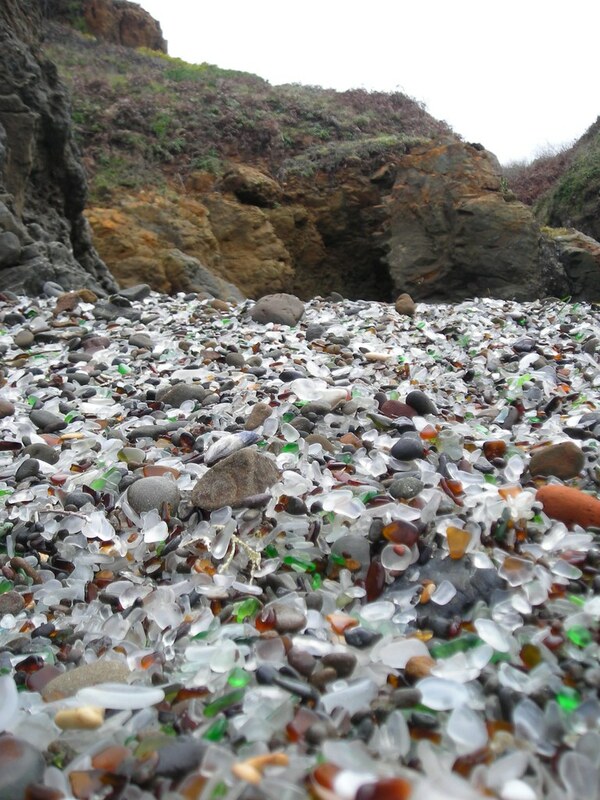 It is not the only glass beach created by human activity. 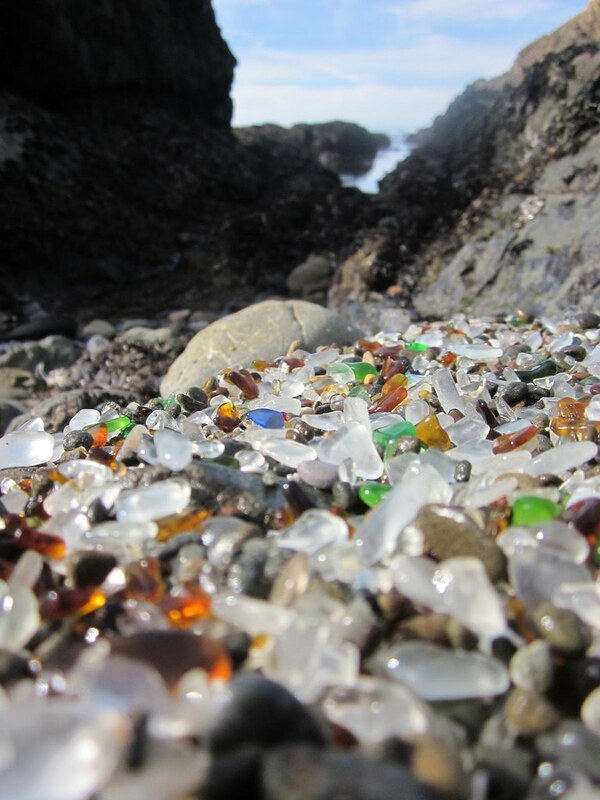 There is another in California (Benicia) and one in the Hawaiian bay of Hanapepe. 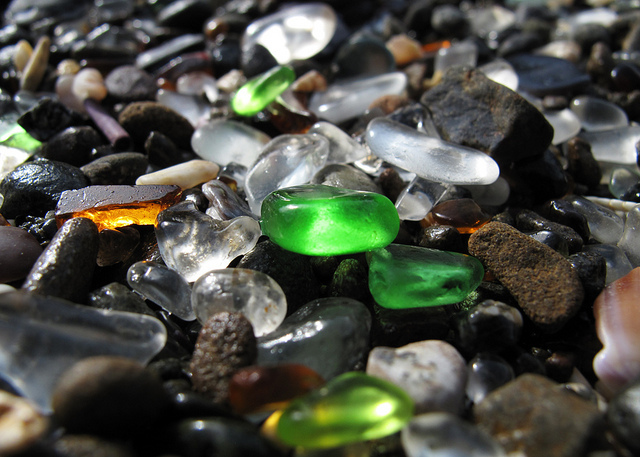 Most curiously perhaps, there is one that exists at Guantanamo Bay. 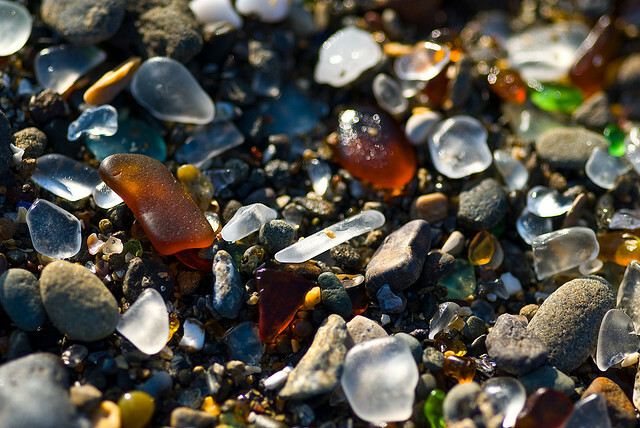 They are all testament to the power of nature to correct the mistakes made by humanity. 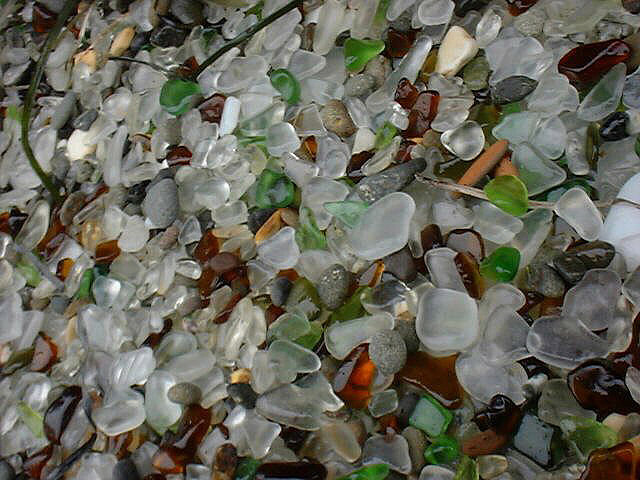 It seems that every color of glass can be found on the beach. 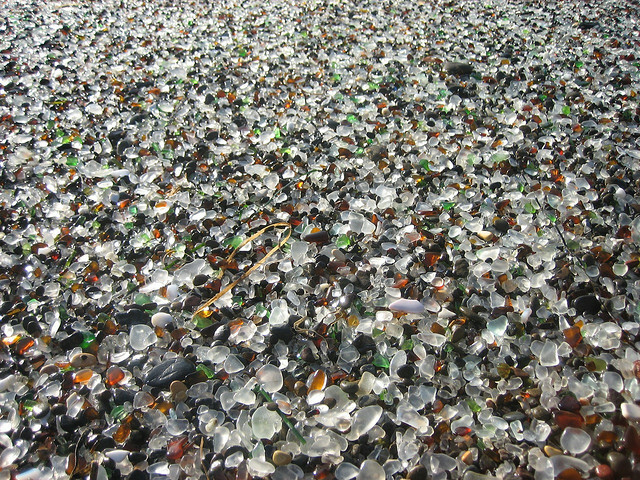 Those original tippers would be suprised, perhaps, to see what had become of their garbage. 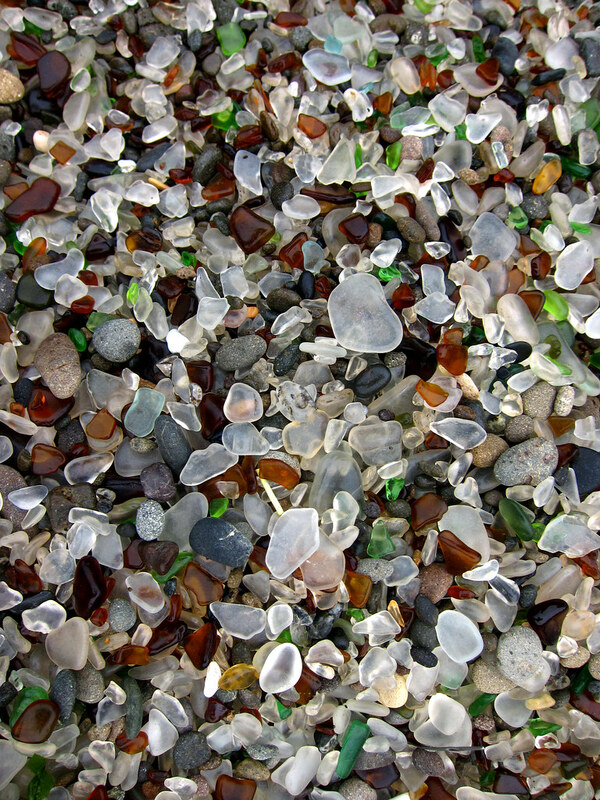 Glass Beach has become very popular with tourists, many of whom scour the beach for the most attractive pieces of glass they can find which they plan to take home as mementoes. 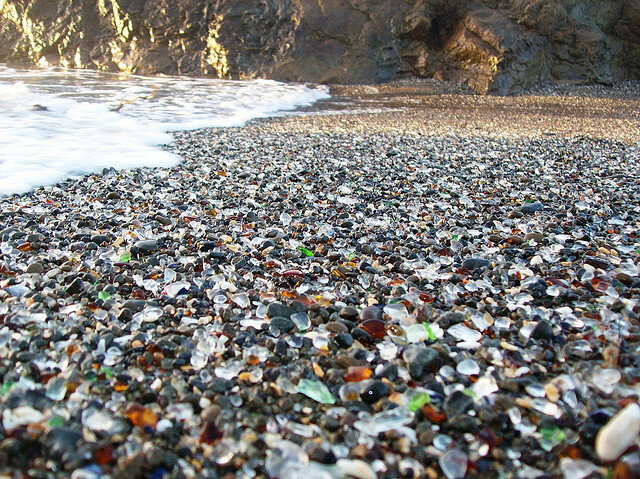 Ironically, where it had once been illegal to dump glass on the beach – now, it is against the law to remove it.